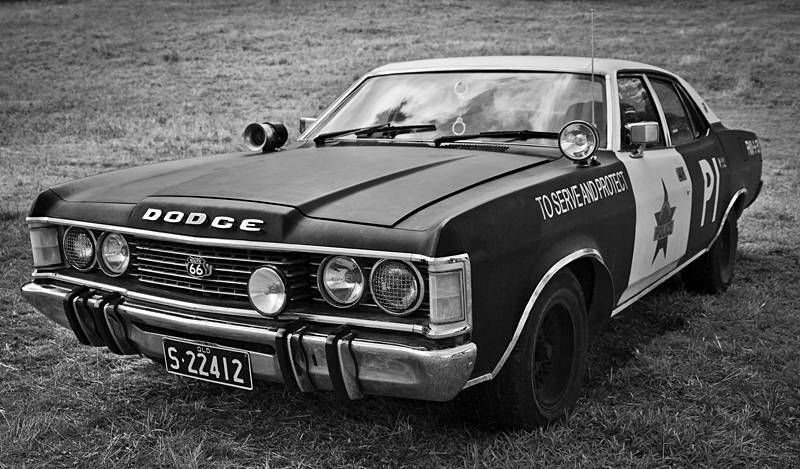 This car was backstage at the Mitchell Creek Rock ‘N’ Blues Festival. It belonged to a colourful character we later met called Greg the Wookie. He is a singer in a Blues Brother cover band “The Soul Men” You have to admire the dedication of a cover band who invest in authentic wheels. To process this image a Black & White layer was added in Photoshop. The Blue and Cyan grey tones were darkened and the Yellow and Green grey tones were lightened.